Celebrate the birth of Christ with stories, Scripture, and song in this Advent family devotional guide, perfect for busy families or used in a classroom setting. 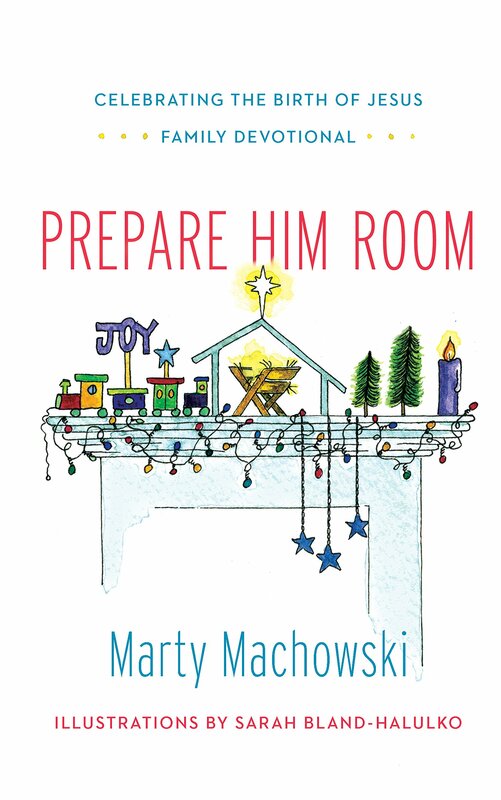 *Prepare Him Room: Celebrating the Birth of Jesus by Marty Machowski. New Growth Press, 2014. 88 pages. Recommended For: Families, Christian school, and Sunday School classrooms with third-eighth graders. Do you celebrate the birth of Jesus? Do you have an Advent wreath at home or church? Do you focus on Christ’s birth as the “reason for the season”? Or do you include Christian decorations in with your candy canes, go to an extra service on Christmas Eve, and wish you had a better way in which to embrace the real meaning of Christmas? 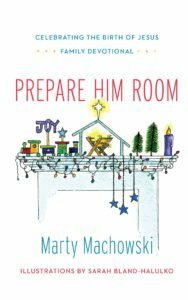 Prepare Him Room offers just that: a well-rounded approach to celebrating the birth of Christ through the entire Advent season. Like Machowski’s other family devotionals (such as Wise Up), Prepare Him Room includes one activity for each week, two songs (one old, one new), and readings for families to do together during the week. Unlike his other devotionals, though, Prepare Him Room doesn’t include a reading for each day. Several readings each week provide for busy families, school classrooms, or even adaptation to a Sunday school or Wednesday night church kids’ program. Each week begins with the Advent wreath candle for that week: a reflection, a passage of Scripture, and the emphasis for the week. As the week progresses, families or classrooms can enjoy the craft, the singing, and the other readings at whatever pace works for them. The conclusion of each week is another chapter in “Bartimaeus: A Christmas Story.” This is a story-with-a-point, but it poignantly illustrates the ultimate meaning of Christmas: God’s provision for our adoption into his family. True to course, Machowski casts a full picture of God’s work on earth: one week dives into Easter in the midst of the Christmas season. This is one of the best family Advent devotionals we’ve seen, both for its creativity, its sound doctrine, its celebratory spirit, its juxtaposition of old and new Advent traditions, and its wide age range applicability. Highly recommended! For other family Advent devotional recommendations, be sure to check out our Family Advent Devotional Book List! What is YOUR family’s favorite Advent tradition?